Today more than 180,000 WA households know they’re already on to a good thing – recently clicking over $20 million in collective savings with Kleenheat. Since we brought choice to the WA natural gas market back in 2013, around 25% of local households have made the switch to real ongoing savings on natural gas. Together they’re supporting a local company headquartered in WA, proudly Australian owned, that has been part of the WA community for over 60 years and with an absolute commitment to delivering real savings in our home state. When we kick-started competition in the local natural gas market with attractive discounts and reliable local support, we knew we’d be helping establish a competitive landscape where consumers are the winners. 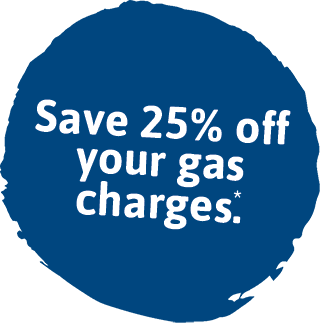 Our philosophy is simple: help customers pay less for the gas they use. No fixed periods or short-term deals, just lower costs that are set to stay low. We’ve always been open and honest about offering the best possible value, backed by a track record for only ever increasing our discounts on natural gas – a claim some competitors can’t match. Earlier this year we automatically doubled our Monthly Smart Saver discount from 10% or 20% off gas usage charges, before more recently increasing savings even further to 25%. This August we also stepped up our support of local small business by introducing our Business Smart Saver plan, helping small use customers enjoy 25% off the regulated business tariff. We think better value gas should be for everyone – new and existing customers across households and businesses – with millions more in savings still to come. Now in our fifth year supplying natural gas in WA, we’re staying focused on delivering genuine ongoing value and local customer support to help keep gas savings in the pockets of Western Australians. We’ll keep setting our own pace and focusing on what’s right for our customers and the community, while also doing all we can to convince those yet to switch that they’re better off with Kleenheat. If you’re already enjoying better value energy with Kleenheat, thanks for supporting a WA born and bred company. If you’re still shopping around for the best deal on natural gas, make sure you take time to research offers and the way some energy companies behave in other markets where they operate. But if you’re ready to jump on the savings bandwagon with Kleenheat, we can’t wait to share the next $20 million worth of savings with you. Thanks for the great feedback Kent! We’re really pleased to hear that, Jolanta. We switched from Alina Gas to Kleenheat, the transfer from one company to another was really easy couldn”t be happier with the savings. Thanks Kleenheat. Welcome and thank you for coming aboard! Kleanheat Gas is a real turn on! Hi Joan, thank you for choosing Kleenheat and for sharing the savings with the rest of your loved ones.